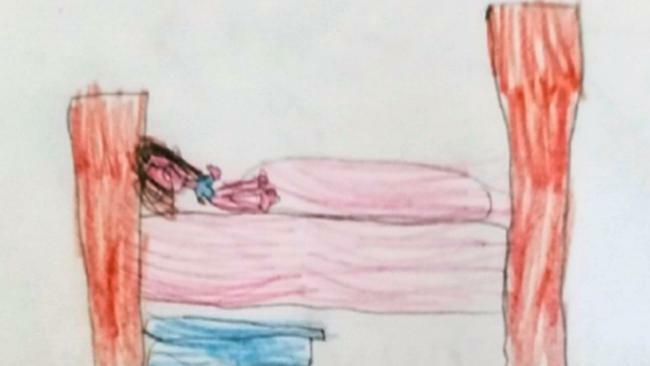 A RED-FACED mother in Scotland discovered her daughter, 7, had drawn a picture at school of the mum hungover in bed with a sick bucket. 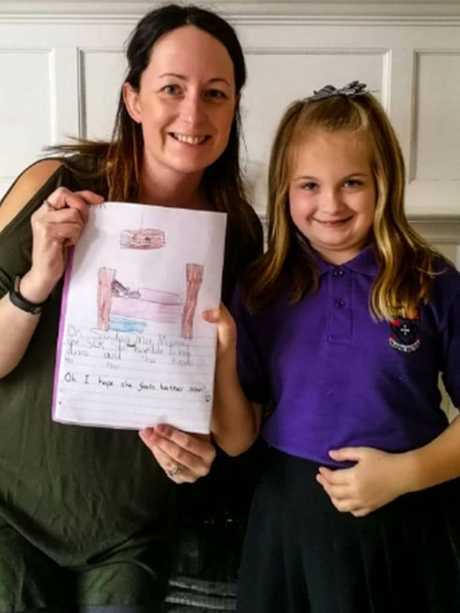 Margaret Stevenson and her husband Scott, of Kilmarnock, found the drawing in among Lucie's schoolwork during a parents' evening, The Scottish Sun reports. 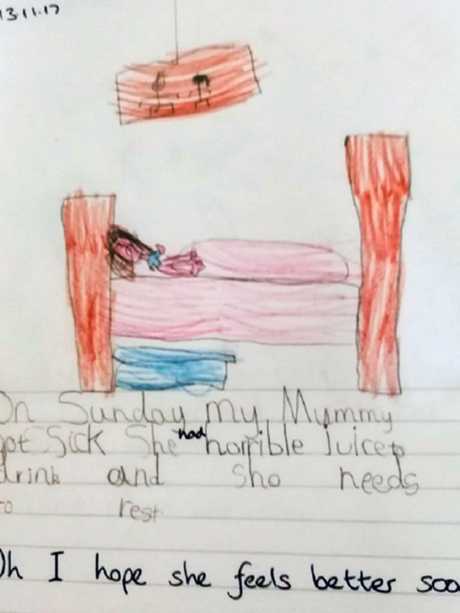 Lucie wrote next the drawing: "On Sunday my mummy got sick. She had horrible juices to drink and she needs to rest." Her teacher had commented: "Oh I hope she feels better soon!" The 39-year-old was stunned to catch a glimpse of the sketch of herself lying in bed after a few too many "lethal" glasses of prosecco. 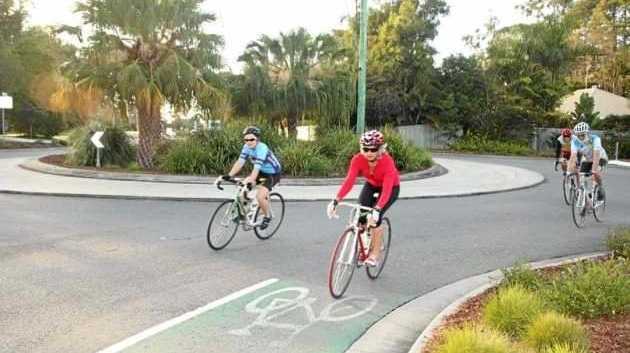 Horrified, Ms Stevenson said: "I was mortified. Kids are truthful and they just say what they think. It is funny what they take in. I thought it was ingenious to include the sick bucket. "Scott just couldn't stop laughing. He thought it was hilarious. We are still laughing about it now." After a girls' night out with the school mums in November last year, she woke with a terrible hangover and spent the day in bed. She said: "I remember she was laughing about it at the time but she was quite concerned that something was wrong. She doesn't know about drinking and hangovers." Her dad told Lucie her mum had just drank too much "horrible juice". Margaret said: "I'm sure the teacher would have put two and two together. I haven't actually met her teacher yet but I'm pretty sure she will see the funny side of it. "I had been drinking prosecco. It was lethal. I can no longer drink it because of that night. I don't drink very often. It was a particularly bad hangover. I stayed in bed all day. "It must have stuck with her because I don't really drink so she hasn't seen me like that before. Kids do the funniest things. "It could have been worse. She kept walking in on me with my head over the toilet so at least that wasn't in the picture." Despite the initial embarrassment, the pharmacy technician now thinks the drawing is hilarious and has shared it with friends and family. This article originally appeared on The Scottish Sun and is reproduced with permission.